For a small or mid-size business, determining hosting needs is often a complicated decision. Shared hosting is affordable, but it doesn’t always offer the flexibility and scalability that you need to grow your business. Private hosting offers both flexibility and scalability, along with a potentially higher level of security, but it also tends to come with a price tag that a small business can’t afford. So what’s the solution? In many cases, the answer is Virtual Private Server (VPS) hosting. In a sense, VPS hosting offers the best of both worlds: A fully flexible, reliable, and scalable cloud solution at a price point that even a small business can manage. The first question you might have is: “What is VPS Hosting?” In the simplest terms, VPS is a cloud server — often called a hardware node — within a larger server. 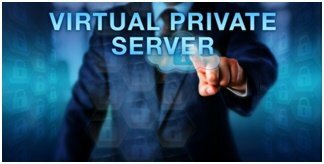 It shares many of the characteristics of a private server, only you are sharing the server space with other virtual private servers. Unlike shared hosting, in which you have to share the operating system, configurations, file system, and server resources with the other users, with VPS you have complete control over your server and its configuration and operation. Some liken the difference between cloud VPS and a shared server to the difference between a condominium and an apartment: With a condo, you own a piece of a shared space, which gives you the freedom to do what you wish within that space in terms of decor and layout, while in an apartment, you are constricted by the existing space and what your landlord allows — which may be very limited. Many businesses go with shared hosting, while many more are now switching over to cloud VPS as it offers easy scalability, customization, and more control. 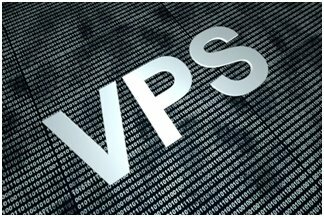 If you aren’t sure whether VPS is the right solution for you, consider these questions. How much of your business is online? 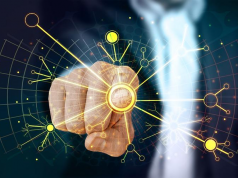 Typically, any business that generates at least 20 percent of its revenue from online sales is considered e-commerce—and cannot afford to experience any downtime or security concerns. 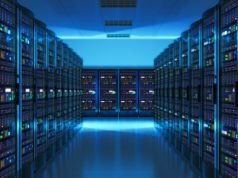 However, even if you aren’t selling online, if most of your operations are online (i.e., you offer online classes or other resources that your customers need access to) then a VPS is often the way to go to ensure close to 100 percent uptime. How well does your current server handle traffic spikes? What would happen if a piece of your content went viral tomorrow? Or if a special offer gets an overwhelming response, and you suddenly have thousands of new visitors to your site at once? Do you have a seasonal business that ebbs and flows throughout the year? In any of these scenarios, a server that cannot handle huge spikes of traffic could prove disastrous to your business. Shared hosting isn’t always capable of handling such spikes, but a dedicated server may be too much at this point. With a VPS, you can add resources as you need them, and you have access to additional server resources that keep your site up and running. If you’re collecting sensitive data from customers, you have a legal responsibility to secure that data. A VPS can offer the level of protection that ensures compliance with regulations, and helps protect your business from the fallout of a breach. Even if your business is growing quickly, you may not know what your server needs will be a few months or a year or two from now. At this point, a dedicated private host may be more than you need, but shared hosting isn’t working either. VPS can provide the solution, and in many cases, if you opt for a dedicated server in the future, you can take your hardware from the VPS with you to the private server later. Hosting your site on a VPS has many advantages, but it isn’t the perfect solution for everyone. Unlike a shared hosting service, which provides turnkey hosting and support, when you have a VPS, you are responsible for configuration and maintenance or for working with a provider to help you get everything set up. In addition, you are still sharing resources with other VPS, so you may see slightly slower performance than you would on a dedicated server. 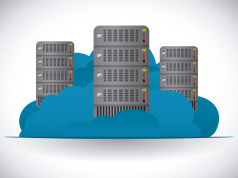 Still, for a growing SMB with increasing computing needs, cloud VPS might be the best solution. Next articleWireless Charging Technology – Making Your Lives Easier!